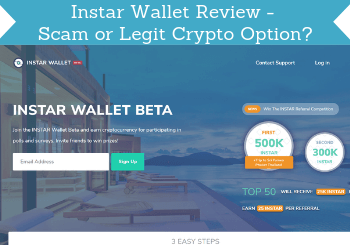 Instar Wallet Review – Scam or Legit Crypto Option? Cryptocurrencies can be a great asset and there are several sites that offer you to earn these by taking surveys and doing other small online tasks – one of these is Instar Wallet. But is Instar Wallet a scam or a legit opportunity? I have joined to test the platform myself to see what it really offers. In this Instar Wallet review, I will share all the details, so you can see if it will be worth it for you or not. What is Instar Wallet and what does the site offer? INSTAR is a new digital currency (cryptocurrency) that was created by Insights Network in 2018. INSTAR’s primary goal is, according to their website, to enable mutually beneficial data exchange between individuals and organizations using advanced technologies within the Insights Network. This might sound a bit complicated, but what they are saying is that they believe consumers (you and me) who are participating in data exchange (for example giving our opinions through surveys and share data) do not get enough out of it compared to the companies behind. They want to introduce a platform that makes it possible for people to request info/data and people to share it without any third parties involved. And they want to give the consumers complete control over the data exchanged. Instar Wallet is then the platform that connects you with organizations for a mutually beneficial exchange. By taking part, you can earn INSTAR. It is important to mention that at the time of writing this review Instar Wallet is still in Beta. This means there can be bugs, but it also means that if it is an option you find interesting, it is a great time to get in as one of the first. I must also say that if you should run into any kind of bug, the staff are very good at fixing it when you reach out to them. And they are constantly working on improving the platform and I have already seen a lot of improvements and developments since I initially posted my review of Instar Wallet. But let’s look at what opportunities you get as a member of Instar Wallet and how you can earn cryptocurrencies by participating. One of the ways to earn on Instar Wallet is by participating in surveys and polls and share your opinion. Examples of surveys on Instar Wallet. The surveys and polls I have received there so far have been very short and easy to participate in. It is, however, important to mention again that it is still in Beta, so this means it is still being developed and therefore it does not yet have a huge amount of surveys and polls. But the ones that are there, are easy and fast to participate in. And the number of available surveys seems to be increasing constantly. I have also heard from the company behind that they are planning to expand a lot, and they will introduce more and more opportunities to earn like this and there will also be more and more opportunities that are specific to certain countries. When building a whole new platform and a system like this, it will, of course, take some time. So just be aware that at the moment there are limited opportunities but I have heard this will change in the near future and can see big improvement myself already. One thing you also need to be aware of is that to participate on Instar Wallet you need to verify your account. This is because the platform wants to make sure its users are all real people. Verification option 1 – Upload some ID that proves who you are. One way you can verify your account is to upload ID. When I joined this was the only option that was there, so that was the option I used. You need to verify your account to participate. Once you have uploaded the ID and a picture, so they can verify you are a real person, you will shortly after receive an email saying you are approved, and then you can start earning. For me, it took about 5 minutes from I applied to be verified until I receive an email saying I was approved. So it does not take long to get ready to start earning. However, I also first got an email saying I was not approved. It turned out there was a bug in the system, and I reached out to support and they quickly fixed it and then I quickly got approved. So if you should run into any problems while registering, just write their support. This is one of the examples of how the platform continuously are trying to make it more user-friendly. At first, when I joined, the verification process could be a little annoying with having to upload ID. Now you can simply log in to Instar Wallet with your Facebook or LinkedIn account and use this to verify your identity. This is definitely the easiest way to get started quickly. An option I found to earn that is not very obvious on the site is what is called the Insights Network Bounty program. The website itself explains that Insights Network is built together with it’s users and their bounty program is designed to compensate community members for their contribution to the network. This means that you can earn by contributing to the network with development, research, marketing, and more. Here are a few examples of the open bounties I have seen on the platform. The Instar Bounty program is an extra way to earn. If there is no open bounty that fits to you, you can also click the button on the site that says “self apply” and describe how you would like to contribute. These options are, however, not easy to find on the website for some reason – maybe because it is still in beta and there are still usability improvements that need to be made. However, you find it by clicking “get help” in the footer of the website. In the help section, you can see a category called “Earning tokens”. In this category, there is a link to “INSTAR Bounty Program” – if you click this, you get to more info about the bounty program and can find a link to the current open bounties. At the moment, Instar Wallet is still new, as I have already mentioned. Their focus is, of course, then to get more members to get a good start. This means you can earn by inviting friends to join. If you know other people that could be interested in joining, this can be a good way to earn some extra tokens. On the Instar Wallet dashboard, you can see the prizes of several cryptocurrencies. You can keep an eye on the prizes of other digital currencies on your dashboard. One of the prizes you can see is for INSTAR that you will be earning as a member of Instar Wallet. You can then compare it to the prizes of other popular cryptocurrencies. On Instar Wallet, you can find what they call the INSTAR Learning Lab. This is where you can learn about the future of data exchange, digital currency, and blockchain technology, according to the site itself. You can learn more about blockchain technology and Instar in the learning lab. I must admit that I do not know much about blockchain technology yet, so I think it is great they have a place where it is possible to learn more. Again, the platform is still new so there are still not a huge amount of resources here. But there are some interesting videos that will, for example, explain more about how Instar wallet works but also about digital currencies in general. From what they write on the website, the plan is that this will evolve together with the platform and become a learning lab for members to learn about the advantages of blockchain technology. Through Instar Wallet you can use Google Play to send fully encrypted messages to your friends. This includes transferring Instar tokens to friends in form of messages. This shows it is a platform that is taking the privacy of us users serious, and that is great, in my opinion. So pretty cool they have introduced this feature. When you participate on Instar Wallet, you earn INSTAR, which is a new digital currency. How much these INSTAR are worth in dollars varies just like the price of Bitcoin varies. How you can then use your earnings is something that is being expanded continuously like many other things since it still is a new site. You can, so far, as I am writing this, freely transfer tokens to other users, and you will soon be able to also freely transfer tokens outside of InstarWallet and, for example, be able to swap the tokens for more liquid cryptocurrencies like Bitcoin. And I have been told that they are working on making this easily possible in the app as well. In the future, the plan is also that you will be able to exchange your Instar Tokens for, for example, gift cards and other currencies. So will be very interesting to see what payment methods will be available when it is fully rolled out. 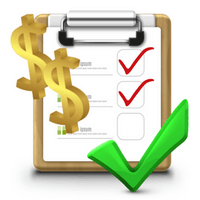 It is always difficult to say how much money you can make on survey sites, as it depends on many things like how actively you participate, the country you live in, and much more. I must, however, admit that I can say even less about the earning opportunities on Instar Wallet since it is so new. The reason I, however, decided to join is that it is so new and INSTAR is a very new digital currency. This means the prize for it right now is very low, and by earning some by taking surveys etc. it might have potential. From what I have read about the company behind, it has very good intentions, and it serious and trustworthy. And it does not take much effort to join and do the surveys that are currently available, so I thought “why not give it a try and get in from the beginning and get some free INSTAR by taking some surveys”. Again, I cannot guarantee anything about how it will develop. I am just sharing what I have found out after testing it and by reading about it. So ultimately, it is, of course, up to you to decide if it will be the right way for you to spend your time. Whenever I test a survey site, I always make sure to also test if it can be used on mobile, as it is a great way to earn on the go and when it fits into your schedule. Instar Wallet has its own app that works really well. The Instar Wallet app is very user-friendly. It is very user-friendly and has all the same functionalities as the website. So if you join Instar, the app can make it very easy to access. 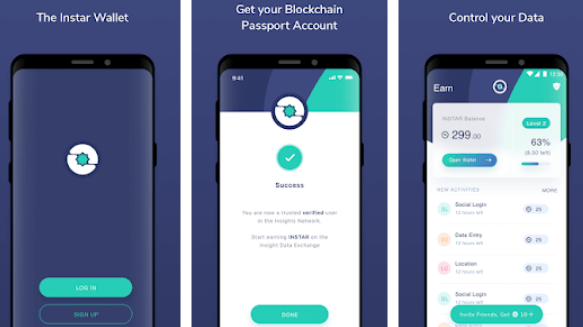 Just be aware that currently, the Instar Wallet app is only available for Android. If you do not have Android, you can still access the site through the internet browser on your phone. Who can join Instar Wallet? A great thing about Instar Wallet is that you can join from many countries. Many of the earning opportunities at the moment are available to more or less all members, but as the platform grows, they will also start to add more opportunities for certain countries and open up to more countries. Unlike many survey sites, Instar Wallet is interested in people from all over the world and not only from English-speaking countries, which makes it an interesting option for countries that usually have a hard time finding good survey sites to join. It is always important to be able to get support on any online platform you join. I have myself been in contact with the Instar support several times already, as it is such a new platform and I had several questions so I could test it properly and give as much info as possible. Also, as already mentioned earlier, I had some initial problems when signing up, but they quickly fixed this. I have received very fast response every time and good, helpful answers which is always a good sign for a survey site. Instar Wallet is without a doubt different from most other survey sites I have joined and tested. As you can see, it is still very new, so that leaves a lot of questions unanswered, but I have tried to give you a thorough overview, so you can see if it is the right platform for you or not. But let’s finish this review with summing up the pros and cons, so you can get a better overview before deciding to join or not. Overall Instar Wallet is an interesting platform, in my opinion. The company behind it seems trustworthy and legit, and I really like the intentions about creating a marketplace without third parties where we as consumers get bigger rewards for our time when we take surveys etc. As it is very new and still in beta, it is, however, unknown in what direction it will go. If it will be worth trying out is ultimately up to you, but now you know what it offers so you know what to consider. How to join Instar Wallet? It is fairly easy to join Instar Wallet. Just remember that you need to verify your account to participate, as I described earlier in this review. So if you want to join, just click the button below, and you will be taken to the sign-up page. As soon as you are a verified member, you can start earning. If you have any comments, questions, or have any experiences with Instar wallet yourself, I would love to hear from you in a comment below. Instar Wallet is an interesting new survey site where you can earn digital currency. It is easy to use and is available worldwide. As it is very new, it is, however, difficult to say exactly how much potential it has. But as it is completely free to join, why then not get in from the beginning? yes, they keep denying me but sending me emails. how do i stop them, cause no sense in sending if they dont allow the us. not sure why they didnt just answer my email tellin me that…anyways…..questiion what can you tell me about Surveytime, Hiving, and Valued Opinion? thank you. It is still in beta so there are still some things they are working on. But you should be able to unsubscribe in the emails. Also, they are planning to open in the US in the near future. I have a review of Valued Opinion and also of Hiving, so you can check those out for more info about those two platforms. Have not tried Survey Time yet. It is on the list of sites I want to check out asap. i dont see the US listed in the drop menu for your country when i tried signing up. Strange – I will follow up on that and try to get a hold of the company and ask about this. Just checked up with the company – it is actually currently not available in the US. They are however hoping to launch there soon. I was not been aware of that – sorry. Sir is it working in philippines? Yes, it is. In fact, they are very interested in getting members from PH so it is definitely a site you can join from there. if I sign up here, does that make you a referral?